Adam Lallana is as emphatic as he is swift when asked whether Liverpool supporters have a significant role to play in helping the team realise their ambitions through the season. “They are immensely important,” he insists to Liverpoolfc.com ahead of the hosting of AFC Bournemouth on Saturday afternoon, when Jürgen Klopp’s side will be aiming to reclaim top spot in the Premier League standings. Talk of a ‘12th man’ is viewed as one of football’s oldest and most overused clichés. 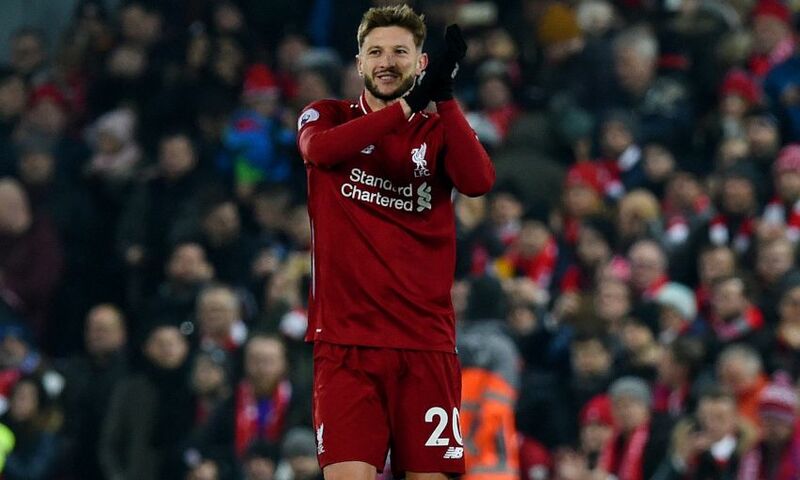 But in the case of Anfield, Lallana believes a palpable impact on what unfolds on the pitch can be generated from the terraces - something he knows from his experiences before joining the club. “Although I never came here many times as an away player, [the atmosphere] can have a negative effect on the opposition. As well as helping the players out, it probably has an adverse effect on the opponents. “The season before I signed for Liverpool, 2013-14, I was aware of Liverpool’s interest in me so I was paying close attention to their matches. The Reds have revelled in home advantage for the last 18 months or so. The latest team arriving on Merseyside with the aim of ending Liverpool’s lengthy unbeaten home record - a streak which stretches back to April 2017 - are Bournemouth. The Cherries, 10th in the standings, have established themselves as top-flight mainstays under the tutelage of Eddie Howe. It’s fair to say Lallana - among plenty of others at Melwood - has the utmost respect for the work that’s ongoing at the Vitality Stadium. “It’s nothing short of remarkable what he has done,” says the No.20. “It almost goes unnoticed that they should be a Premier League team year in, year out now. “It’s a great infrastructure Eddie Howe has got down there and the recruitment has been brilliant. They have one of our players at the moment - Clyney - and they signed Dom [Solanke] on a permanent contract as well. Clyney has gone there and done brilliantly for them and I am sure Dom will be a fantastic signing; I’ve trained with him and saw how good he can be. One only needs a quick glance at Bournemouth’s recent matches to fully grasp the threat they could pose to Liverpool’s aspirations, with Chelsea having been beaten 4-0 on the south coast 10 days ago. “King, Wilson, Fraser… all the way through, they have a good team and have caused us problems over the last couple of years,” Lallana considers. “They drew at Anfield a couple of years ago, so we’ve got to be careful and we’ve got to know where their strengths are - which we will, we do that every week for every opponent. “I’m not sure they’re mathematically safe yet albeit having had a tremendous season, but coming off the back of a 4-0 win against Chelsea, that in itself just shows how competitive the league is. 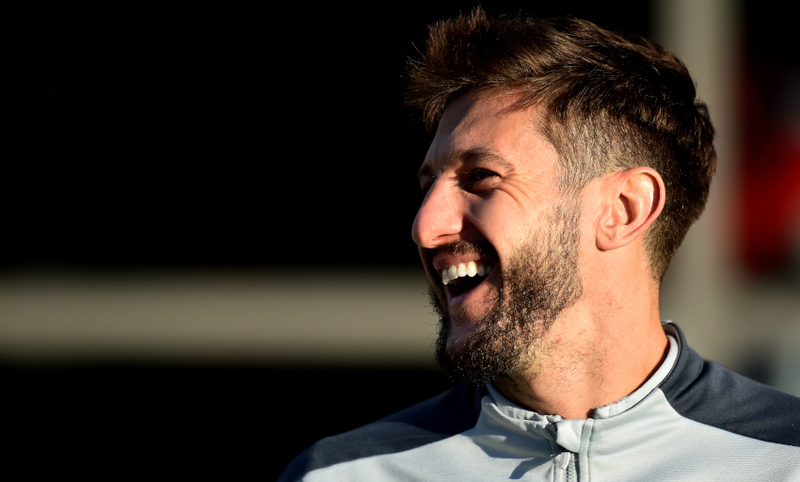 On a personal note, Lallana will be hoping to build on a solid 70-minute runout against West Ham United. The 30-year-old marked his first Premier League start since October with a decisive role in Sadio Mane’s goal at the London Stadium. “I think I am feeling good, yeah, I felt great in the game,” he says of his display in London. “I think it was my first game for three months, albeit with a couple of games [as a substitute]. There have just been far too many setbacks for me in the last 18 months to gain any sort of rhythm, but I am feeling good now and hopefully with a little bit of luck, I can stay injury-free. That information, however, will not form any part of the pre-match preparations for the Reds, according to Lallana. “It’s ifs and buts; you talk about if we win we go three points clear, but we want to forget about that,” he says. “We’re just trying to see it as another game, another game at Anfield, and we want to win it. As long as we focus on that and keep picking up the wins, the rest will take care of itself. ‘Large pushes’ that can be positively impacted from the stands.